Whenever St. Patrick’s Day comes around I often think fondly back to my youth when March signaled the sale of the Shamrock Shake. Now as an adult I’m more aware of all the fat and calories that can be found in one so in recent years I have started making them at home with my kids using low fat milk, frozen yogurt, mint extract and a bit of green food colouring for nostalgia’s sake. This year we decided to do a St. Patrick’s Day inspired dinner party. The theme was green, the decor was shamrocks and I decided to take my Shamrock-esque shake recipe and make it a drink that my adult dinner guest could enjoy as a shot while I made my regular version for my under 18 guests. 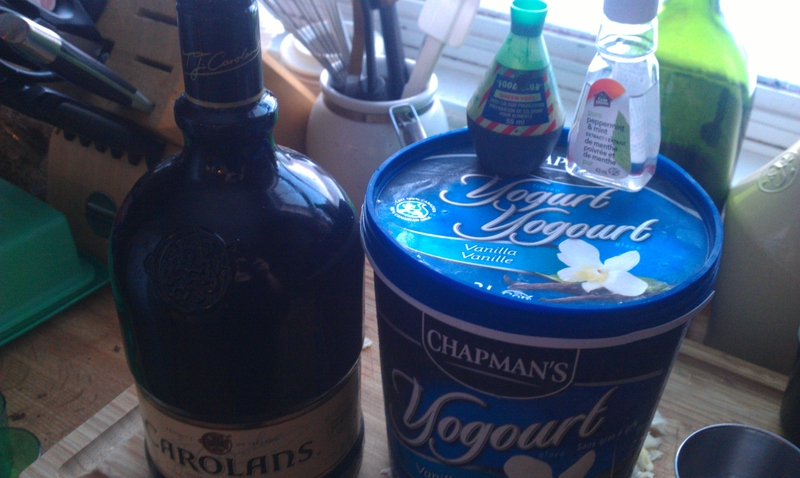 Ingredients (from left): Irish cream, green food colouring, mint extract, and frozen vanilla yogurt. For the adults at my dinner I used Irish Cream in lieu of the low fat 1% milk I would normally use. I didn’t really get a good chance to measure my scoops, as my ice cream scoop died a painful death a few months ago and I haven’t found one to replace it yet, but I would estimate it at about 5 scoops. 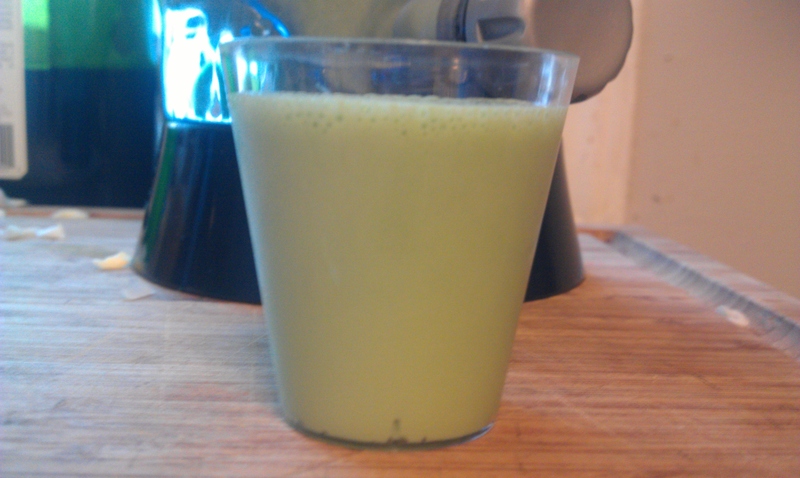 Irish Cream, green food colouring and mint extract. After scooping the frozen yogurt I add the remaining ingredients and blend until smooth. Pour into shot glasses and recite your favourite Irish Blessing. 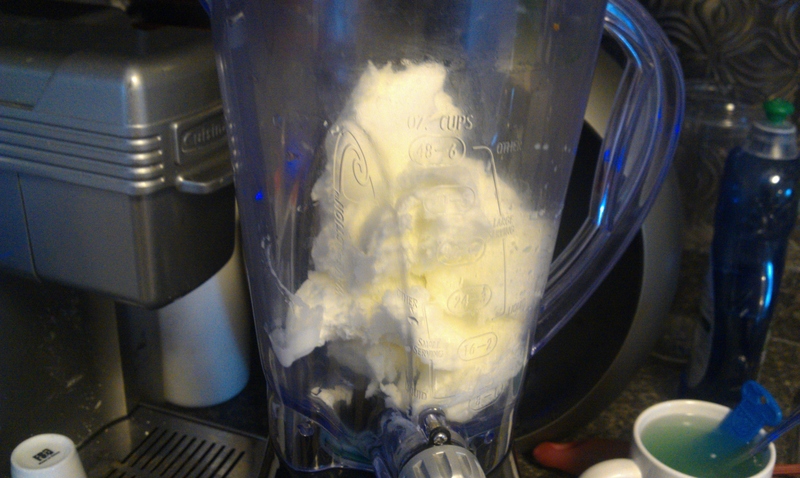 Put the 5 scoops of frozen yogurt in to a blender. Add the Irish Cream, green food colouring and mint extract. Put the 5 scoops of frozen yogurt in the blender. Add milk, green food colouring, and mint extract. 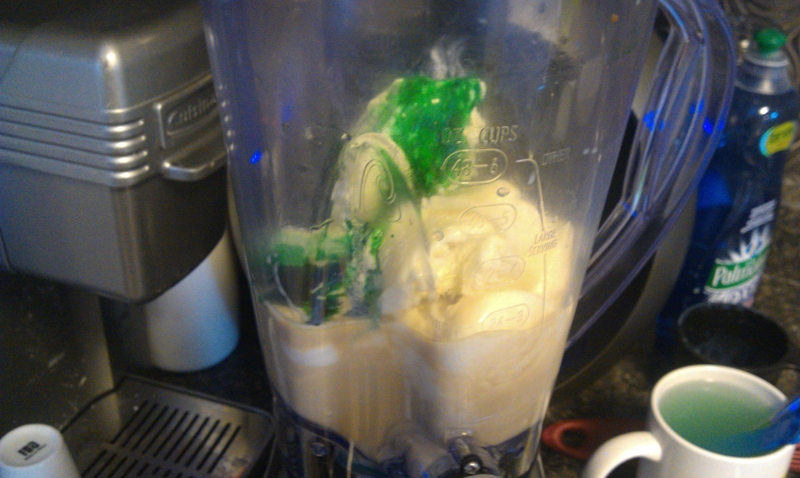 Posted on March 17, 2013 by Shirley Robert	• This entry was posted in Beverages, Cooking with Kids, For The Adults and tagged colouring, extract, food, food colouring, green, green food, Irish Cream, light, milk, mint, shamrock shake, shot, shot glasses, vanilla frozen yogurt, vanilla yogurt. Bookmark the permalink.